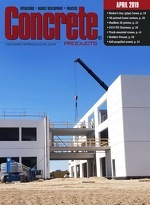 Concrete Products - Money Matters in the Concrete Industry. Read more: Lean Six Sigma Value—Is the Concrete Industry ready for it? The potential for optimization in the ready mixed business touches many levels and areas. The most recognized are the areas of logistics/dispatch, materials and plant performance. They all have quick gains and add value, but there are other areas to optimize as well.